The other day I was sat down doing some work and I was scrolling through my blog for a good half an hour trying to find my review on this Hourglass Veil Translucent Powder and I couldn’t find it. After checking through all of my files and my blog, it seems that I have never uploaded a review on this powder, which is just crazy. There have been quite a few products that I own slipping through my blogging radar recently, so this may be one of those products. Anyway, this is very late here on my blog, but I thought that I might finally write and upload my review here on my blog! I first want to start out this review by saying that the reason why I bought this powder many months ago was because I was just sick to death of the translucent powders that I was using. I was in-between using the RCMA No Colour Powder or the Laura Mercier Translucent Powder and neither were really doing it for me anymore. I wanted something that not only set my liquid and cream products, but that helped the look of my skin and gave it a little boost. When this product came out the other year, I knew that it was going to be the product for me and I was going to have to try it out for myself. The first thing that I need to mention is the packaging. This is by far the most stunning translucent powder that I have ever tried, and it looks so pretty sat on my vanity. When I compare this product to the RCMA that you get in a plastic tube, it is just completely incomparable. This has a twist off top and then when you look inside it has a netted like mechanism that releases the powder. I honestly cannot fault the packaging and I wish that all of the powders that I had in my makeup collection were like this. With this being an Hourglass product, it was easy to assume that the packaging was going to be stunning, but they really didn’t disappoint. What I like to do is apply all of my creams and liquids to the face, then the first thing that I do is go in and set my face with this powder in the areas that I normally crease. This means that I will apply it underneath my eyes, around my nose and along my smile lines. By doing this it stops my makeup from creasing and keeps my skin looking nice and smooth. I will then take the same powder on a larger powder brush and lightly dust it all over the face to keep my skin completely matte. 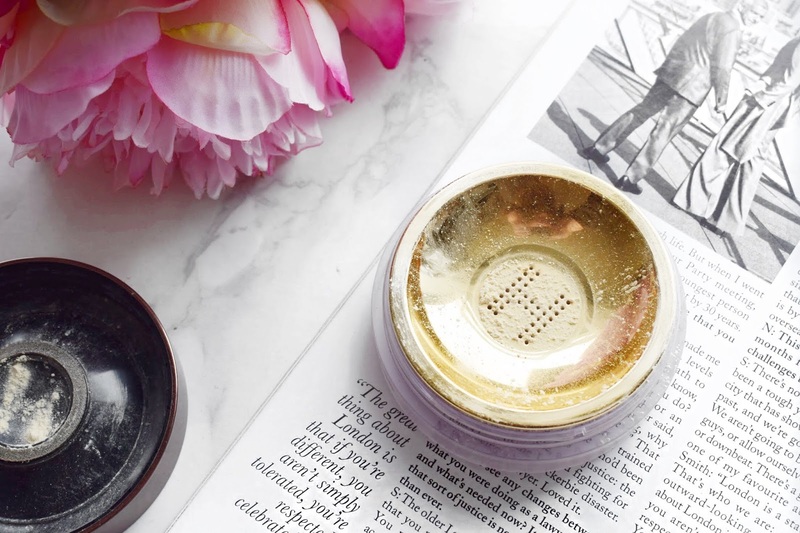 Within an instant it is easy to see that the powder completely removes all shine from the skin and blurs my pores and imperfections to make my base look flawless. I can apply this powder first thing in a morning and 8 hours later when I am finishing work my skin will still look just as perfect as it does first thing in the morning when I first left the house. This never breaks down, it works well with my natural oils and it keeps me much more matte then some of the other powders in my collection. Plus, this is such a finely milled powder, so it keeps my skin looking so silky and smooth, plus it feels incredibly while you are buffing it into the skin. I have tried many other primers over the years and this is just so beautiful to use on an everyday basis. My only criticism is that you don’t get much product in the tub. This one tub of Hourglass Veil Translucent Powder set me back around £40, which I reckon is hell of a lot for 10g of product. When you compare that to the RCMA where you get 100g for £13 or the Laura Mericer that is 30g for £30, it is just very minimal. If I was to use this every single day of the week, I would probably have to repurchase a new one every single fortnight because of my oily skin and my love for matte skin, which would cost me an absolute arm and a leg! I will leave a link to this powder down below in case you want to check them out for yourself. 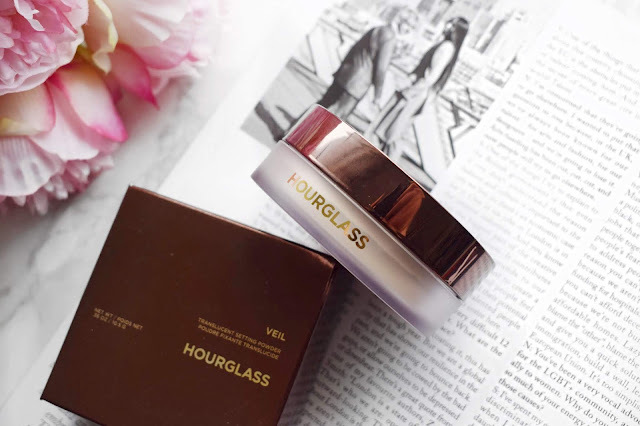 Make sure to leave me a comment and let me know if you have tried this Hourglass Veil Translucent Setting Powder and make sure to tell me what you thought about it! It is so chic isn't it! I really want to try it out, I have heard amazing things about it! I just think that this always makes the skin so perfect! I love Hourglass, but haven't tried this powder. Sounds impressive though! It is such a lovely product, I couldn't recommend it more! It does have a high price tag, but I really do think that it is worth it! 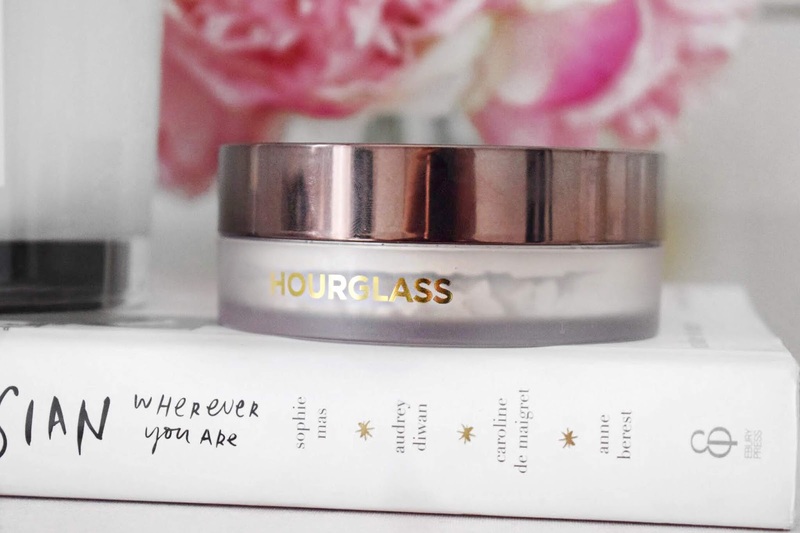 Hourglass is a brand that I am really loving more and more of at the moment! I am slowly trying out more Hourglass and I am loving it! This powder is definitely an investment (lucky for me I rotate between so many powders it would take me longer to use up this powder). I love how unique it is and how it sets the foundation well and gives you a glow - this is the best powder for dry skin types. I am so in love with it, so glad that I picked this one up! Beautiful and elegant packaging. never try it before but I'll give it a try! I really couldn't recommend it more, it is amazing quality! I know, I just use it when I want my makeup to look extra special! There really isn't all that much in there!